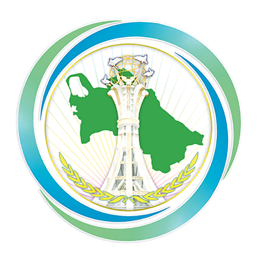 On February 12, 2019, at the Ministry of Foreign Affairs of Turkmenistan there was a meeting with a delegation that arrived in Ashgabat on a working visit under the leadership of the Head of the Regional Center of the International Federation of Red Cross and Red Crescent Societies in Central Asia, Mrs. Bayarmaa Luntan. At the beginning of the meeting, Mrs. Luntan expressed her gratitude to the Government of Turkmenistan for establishing fruitful cooperation with the IFRC. Also, the head of the Regional Center spoke about the priorities of the IFRC in Central Asia, including partnerships with the governments in the field of humanitarian aid and development. Further, the parties discussed a number of issues related to the development of cooperation between Turkmenistan and the IFRC. Based on previous discussions, partnerships were emphasized in areas such as disaster risk reduction, climate change, and promoting a culture of peace and non-violence. In this context, the parties highlighted the draft Framework Agreement on Partnership between the Government of Turkmenistan, the National Red Crescent Society of Turkmenistan and the IFRC, which was prepared in 2015 in coordination with the Ministry of Foreign Affairs of Turkmenistan. In addition, as part of the negotiations, the parties discussed issues of support for the Government of Turkmenistan in the humanitarian work of the IFRC in Central Asia, as well as in other areas of common interest.